Step up to this wrap around covered deck that surrounds this 1700 sq. ft. log home. When you enter, you will see a large dining room with a large country kitchen. This kitchen has slate flooring, lighting above the cabinets an lots of counter top. This home has a very open floor plan. The open staircase leads you upstairs to the gorgeous master bedroom with a 3 piece en-suite and balcony. Has a niche area that would be perfect as your den. Outside there is a double detached garage in the fenced yard. 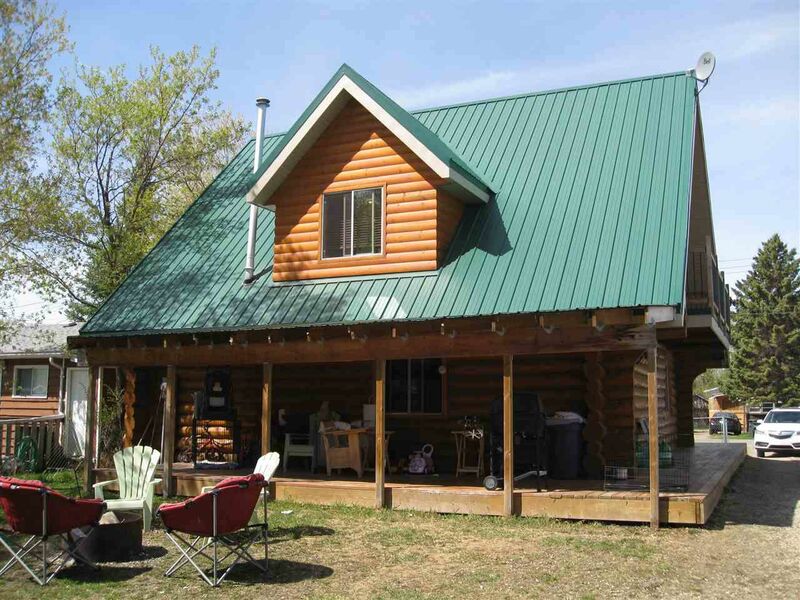 Get ready to enjoy your log home at the Lake!! HWY 16 WEST TO HWY 43. NORTH TO SEC 633 THEN WEST TO RGE RD 33, RIGHT TO 50 AVE THEN LEFT TO 64 ST. THEN LEFT ONTO 64 STREET.